You can buy a printer with a built-in scanner nowadays for 25 quid. But that’s not the future. The future is the HP Tango. No, it’s not orange. They don’t have that kind of Tango in Silicon Valley. Nor is it a dance, because the dance is for two people – and the HP Tango is definitely not two things. It’s just a printer. It doesn’t even have a scanner. Nor does it have a touchscreen – or any screen. It lacks a USB port because it only works over Wi-Fi. And you need a smartphone to set it up because it’s the World’s First Smart Home Printer. INSTANT INK – IS IT WORTH IT? Alternatively, the Tango X is exactly the same but comes with a grey felt cover (see image right). To wrap the cover around it, you have to remove the paper, so before you print wirelessly from your smartphone or computer anywhere in your house – or, indeed, via the cloud, anywhere in the world – you first have to go to your HP Tango X in person, unwrap it and fetch some paper from wherever you keep paper. You can put your HP Tango anywhere, as long as it’s next to a mains socket. It has 802.11n Wi-Fi, which was superseded five years ago, so it’ll need to be quite near your Wi-Fi router as well, unless you take your device close by and use Wi-Fi Direct. HP says you can print 20 pages per minute, but that’s only in black-and-white draft mode. In reality, it takes about 30 seconds to start up, then prints maybe three or four pages a minute. It’s simple to use and prints photos well, but while many inkjets offer borderless A4 output, the HP Tango can only fill photo paper up to 7x5in (18x13cm), and even then we noticed a slight gap on one edge. The paper feed takes just 50 A4 sheets, and if you want to print both sides you’ll have to feed it back in yourself. If you don’t sign up to Instant Ink (see box below), a set of 303XL refills (black plus three colours). These are rated for 415 (colour) to 600 (black) pages, so costs work out at about 11p per colour page, which is higher than average. If you need to scan or copy, the HP app lets you take a picture of a document on your smartphone and print or email it. Of course, your smartphone could already do that. Finally, you can print by voice, via Alexa, Google Assistant or Cortana. But you can only output preset items like your shopping list, ruled notepaper or a crossword. That’s as smart as it gets. 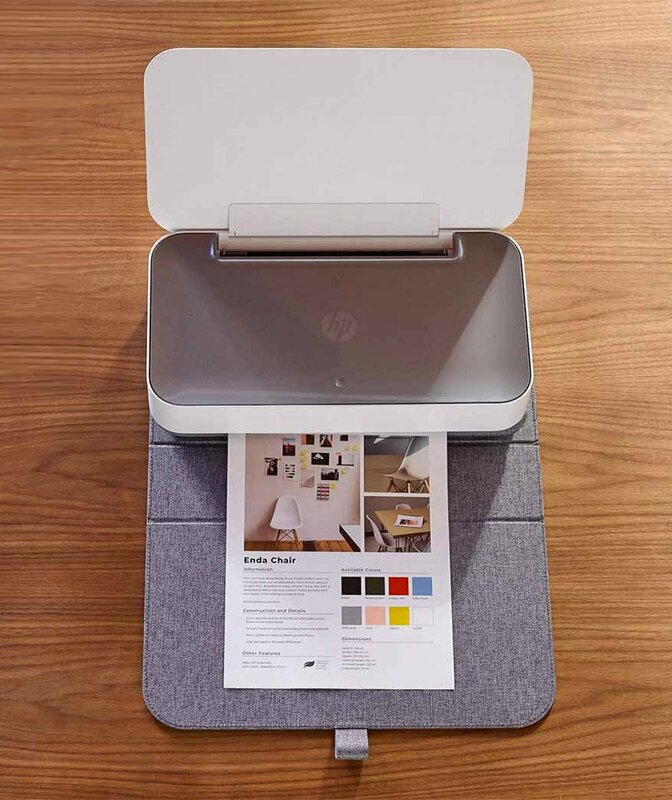 HP encourages you to sign up for an Instant Ink plan, where they post new cartridges to you whenever ink gets low, using your internet connection to monitor your printing. Paying up front should save you money if you often use colour. The best feature is ‘free photo printing’ when you print from your smartphone (not a PC) on paper up to 7x5in. However, you are warned (in small print) that this offer could end. Another way to save on ink would be to buy third-party refills. But HP builds chips into its cartridges, for ‘security’, that others can’t duplicate, and the Tango won’t print without them. Only a very few companies sell refilled official cartridges, and they won’t show ink levels correctly.